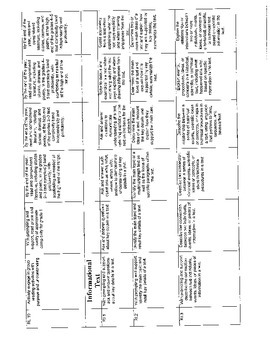 This chart includes all of the ELA standards from the Common Core in the areas of Reading Literature, Reading Informational Text, Reading Foundational Skills, and Writing. 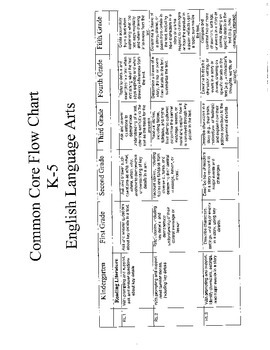 The chart looks at each standard for every grade level so that you can compare and see how one particular standard progresses and grows through the grade levels. 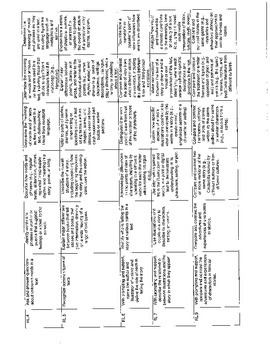 For Example: If you look under Reading literature, there is a standard RL._.1 (The blank spot changes based on the grade level.). For Kindergarten this standard says that a student will ask and answer questions about key details with prompting and support. In 5th grade, this standard still exists. 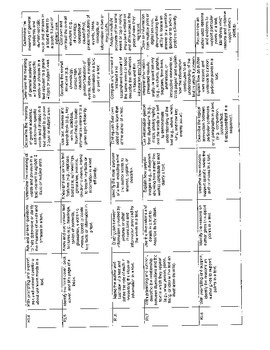 However it has advanced to say that students will quote accurately from a text when explaining what the text says explicitly and when drawing inferences from the text. As a special education teacher, this is helpful in being able to see where my students are, where they should be, and what common language is expected between those two areas.